Livestock is moved across Australia every single day from state to state, through rural areas and within metropolitan areas. This requires specially designed livestock trailers that are hauled by rigid trucks and prime movers. These types of transporters offer services across Australia, running throughout all major capital cities and through all states across the country. Whether it’s transporting cattle, sheep or even poultry, you’ll need to find a professional and highly specialised livestock transporter to take on these types of freight. There are also a number of regulations that govern the relocation of livestock and the truckie will need to have a sound knowledge in this highly specialised area. Get quotes for livestock transport today! Get 3 Quotes for transporting livestock. It’s free to request quotes. Cattle & Calves: Transporting livestock such as cattle and calves must be performed by highly specialised heavy haulage experts who have specifically designed livestock trucks and trailers to carry cattle and calves. Depending on the number of heads you need moved will determine which type of livestock truck and trailer is required to shift your load and how large that trailer will need to be. Semi-trailers and B-doubles are some of the commonly used livestock trailers that you will see on Australian roads for cattle transport. Get livestock transport rates from professionals performing runs through all states including Victoria, NSW, SA and WA. Poultry: For poultry or chickens transportation services you want to find a carrier who will handle them with care and consideration to relieve stress and anxiety that can be caused through the process of preparing, loading, transit and unloading of the chickens. 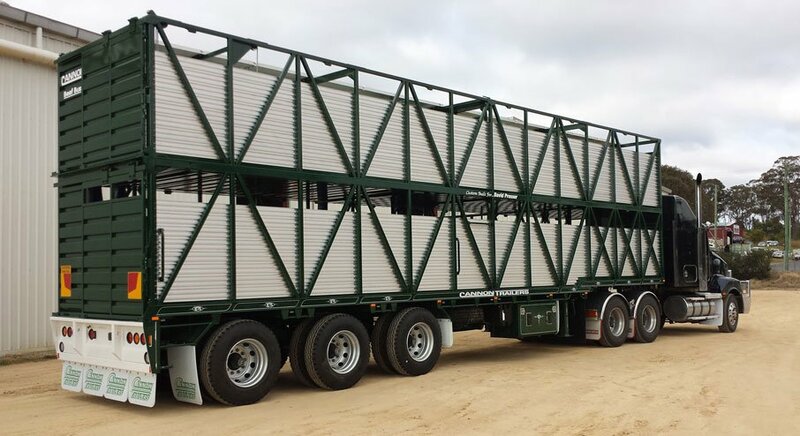 The new environment of an unfamiliar livestock trailer for poultry needs to be navigated by an experienced and specialised livestock transporter and you can find quotes and costs for these types of services. Transporters operate through and between all major capital cities including Melbourne, Perth, Adelaide and Darwin. Sheep: Wondering how much it costs to transport sheep? ABN verified livestock transport companies can provide you with a freight quote and cost for relocating sheep anywhere across and throughout Australia. This could be through regional, rural or metropolitan areas of states such as Victoria, NSW, Tasmania and QLD. Whether you’ve got a smaller number of sheep, one to ten head or a larger number of ten or more, you’ll need to find a livestock transport company who has the correct sized truck or trailer to carry that freight. Goats: Whether you need to relocate fibre, meat or milk goats you will still need to find a reliable and specialised transport company to handle the load carefully to ensure that no harm comes to the animals. Like other livestock, goats can become flighty during unloading, loading and during transit and so it is important to find a carrier and truckie with experience in this area to ensure everything remains as calm as possible. Drivers will need to have an appropriate livestock truck or trailer in order to carry goat freight. This can be interstate, through rural areas, regionally or through metropolitan areas. Pigs: When it comes to pig transport throughout Australia, the livestock trucks and trailers that are used to cart the freight must be able to be constructed from materials that are able to be cleaned thoroughly to ensure the health of the animals during transit. You can find a reliable livestock transporter who operates across all states, including SA, QLD, ACT and NT. There are also truckies who work in and around Tasmania. You’ll need to find a specialised pig transporter who has the correct vehicle to carry this type of freight to get your costs and rates. Horses: If you’re looking at how much it costs to transport a horse or horses per km, then an experienced livestock transporter can provide you with quotes and rates. You can find a transporter who can tow a horse float, either large for multiple horses or smaller for a single horse, to relocate the horse anywhere throughout Australia. Horses must be transported with the utmost care and with experienced handlers on side. The livestock transporter for horses also must have the correct vehicle and equipment in order to either carry your horse float or provide one for you. With FreightQuotes, you can connect directly with specialised livestock haulers located across the country including interstate, regionally, rurally and through metropolitan areas. Submit a free online freight quote request through our easy to use Get Quotes online form and this will be sent to all the transport companies registered with our website. From there, three of these livestock transporters will contact you personally with a freight quote and costs to shift your particular cargo. A simple, quick and convenient way to find livestock transport costs for cattle, sheep, goats, pigs, horses and poultry. Submit a freight quote request today to find out how easy it can be to find livestock transporters operating in your area. Fast, free and with no obligation to hire. Livestock transport is available Australia wide. This includes interstate, regional and metropolitan livestock freight covering all states and capital cities including Adelaide, Brisbane, Perth, Darwin, Melbourne, Canberra, Hobart and Sydney.